Children’s Museum of Manhattan – Let’s Dance! Home / Project / Children’s Museum of Manhattan – Let’s Dance! 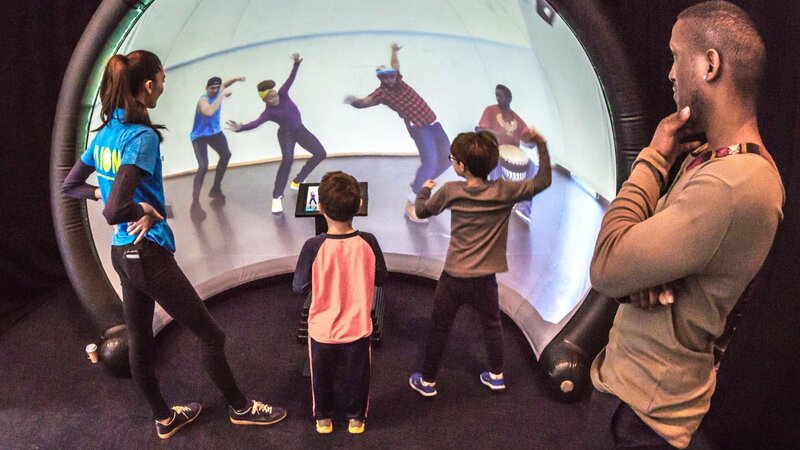 Children and families can bounce, glide or leap their way into dance at the Children’s Museum of Manhattan’s exciting new exhibition, Let’s Dance! 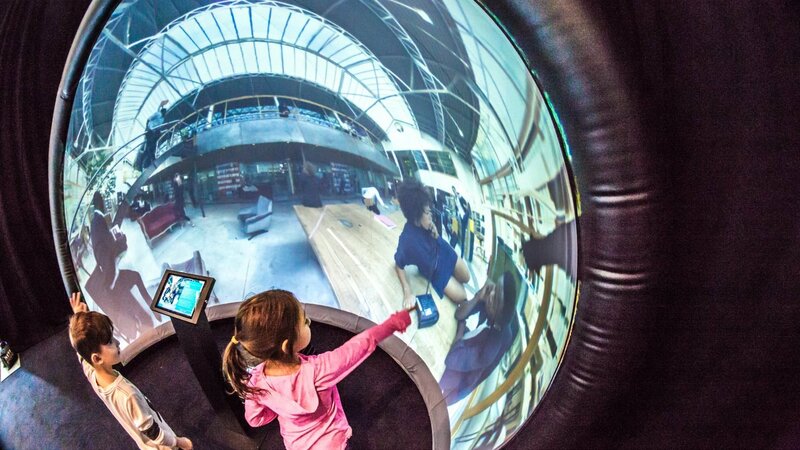 The exhibit features a GeoDome Portal, with content and a touchscreen interactive driven by WorldViewer. This is CMOM’s second Elumenati installation – the first a GeoDome Panorama in their America to Zanzibar exhibit, which launched in 2017. People are excited about it – as you can read in these posts from the community of dance teachers and from professionals in NYC museums. In Let’s Dance! , the installation/dance space is designed to introduce children and families to the beauty, spirt, and diversity of the form while helping parents and caregivers understand the value of dance to early childhood development. Visitors can experiment with dancing in colors and shadows projected onto a ‘stage’ wall while experimenting with lighting design using a child-friendly lighting box. They can explore new dance positions by manipulating poseable, life-sized figures, and create their own dance patterns using movable signs, engaging props, and fun costumes inspired by international dance styles. 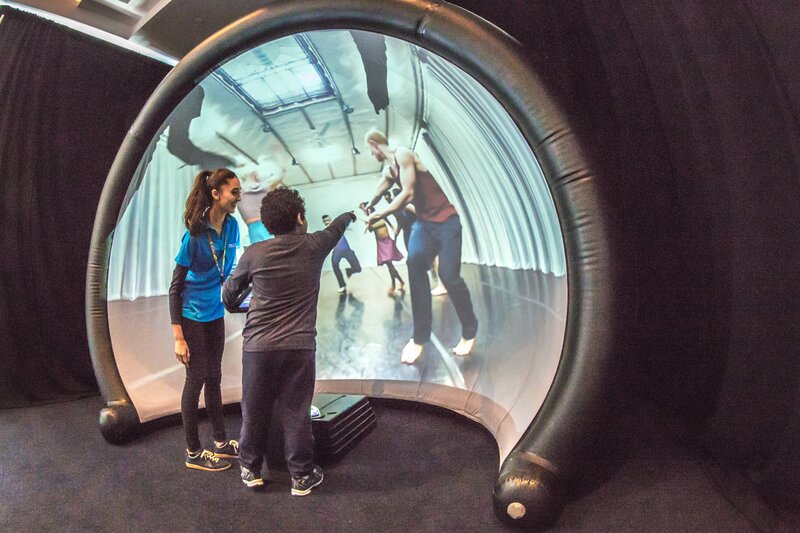 A highlight of the exhibition is the Dance Portal, an interactive video installation using the Elumenati’s immersive technology to share the power of dance in its many styles while inviting visitors to dance along! 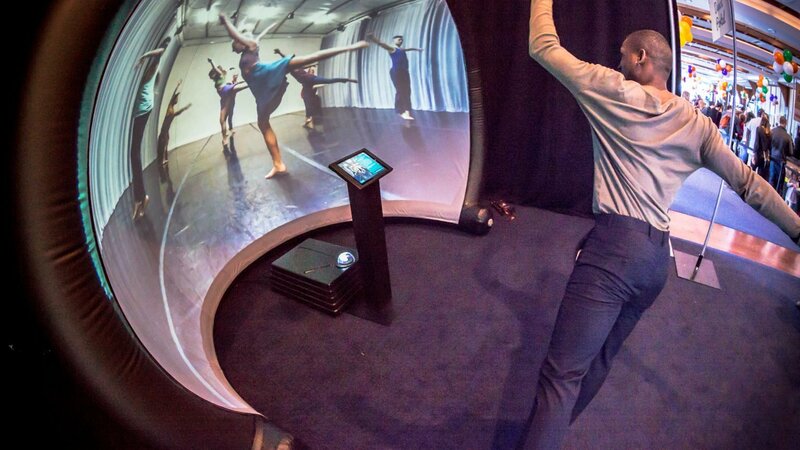 Participants use a touch screen to select from three types of prompts—see, do, or learn—to watch or dance along with world class dance companies. 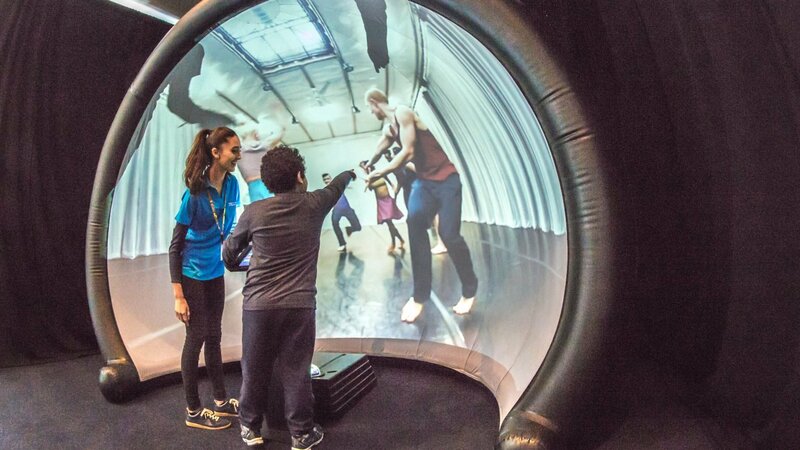 Special dance programming and performances will complete this “moving” experience! Let’s Dance is expected to run through 2018. This exhibition is made possible with a grant from the Institute for Museum and Library Services.